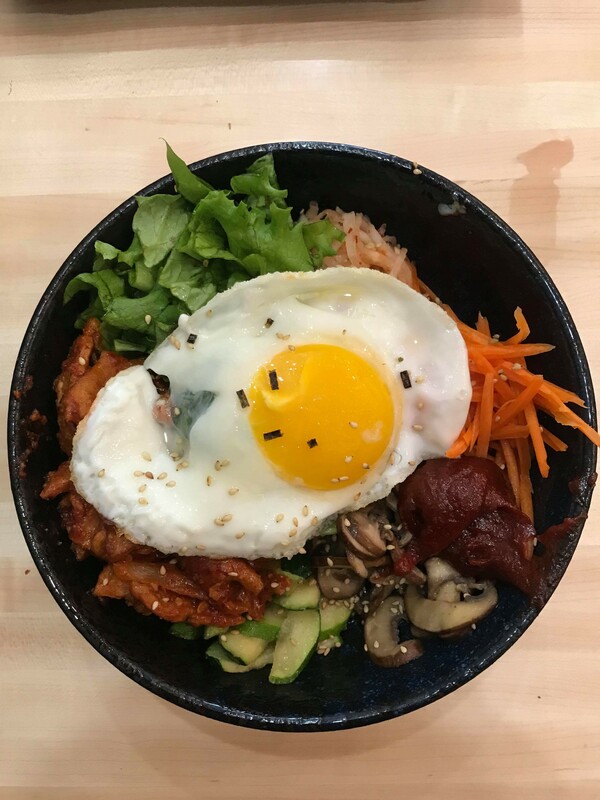 Dosirak Shop will serve rice bowls such as bibimbap. After spending years running Kamakura, a casual Japanese lunch spot in San Francisco, and Danny’s Kitchen, an American cafe in Vallejo, the Kang family is finally launching a restaurant true to their roots. Brothers Daniel and Samuel Kang, alongside their parents, will open Dosirak Shop (366 Grand Ave.), a Korean eatery in Oakland’s Adam’s Point neighborhood — hopefully by mid-March. The goal is to fill a niche for affordable, home-style Korean meals served in a quick-service setting. Instead of sitting down to a dozen banchan followed by an elaborate feast, you’re more likely to get a simple, one-bowl meal at Dosirak for about $12 to $15. Dosirak means “to-go box” in Korean, and these bento box-esque dishes will be a focus at the restaurant. Each dosirak will offer rice, meat, and different sides in separate compartments. Folks can also order similar items as a rice bowl instead. Meat options will include bulgogi beef, barbecued chicken, and spicy pork belly in gochujang. Given their Japanese restaurant experience, the Kangs will also dabble with some Japanese offerings, such as tempura and sashimi.